Skiers ride a lift on opening day at California Northstar Resort on Friday, Dec. 1. It may have taken a couple of rescheduled dates due to a lack of snowstorms hitting the area to start the 2017-18 ski season, but the wait was well worth it at Northstar California Resort, with more snow and more open terrain than many expected, making for a day of riding fresh powder, launching off stumps and boulders, and covering as much of the resort’s 21 open trails as possible. Spaziani said it was his first time riding at Northstar, and that he found plenty of open lines and gnarly terrain to take advantage of on opening day. The resort opened on Friday, Dec. 1, with a solid blanket of snow covering the upper mountain and enough lifts in operation to keep lines short, allowing for hours of laying down fresh tracks in the trees along East Ridge and down into Powder Bowl. Northstar opened on Nov. 22, 2016 last season. Guests started the day by taking Big Springs Express Gondola to Mid-Mountain for 2017-18’s first chairs on a sunny, warm Friday morning with highs in the mid-40s. 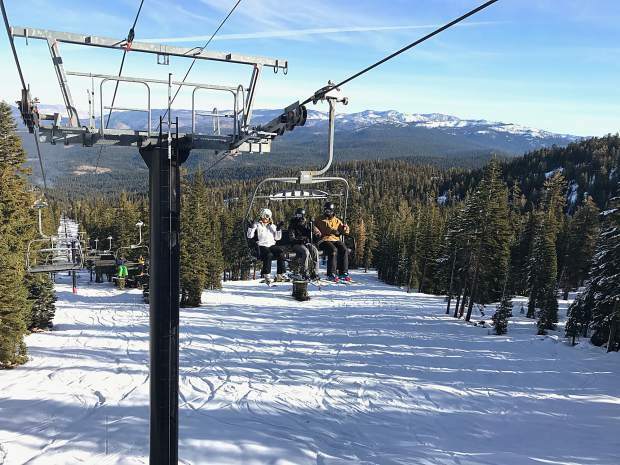 From there, Northstar’s Arrow Express and Comstock Express chairlifts brought skiers and snowboarders to the mountain’s summit. The resort was also spinning Vista Express, and had several terrain park features set up near the West Ridge. Austin Rodgers, also of Kings Beach, was at the resort for his second season at Northstar, and was showing Spaziani around on opening day. 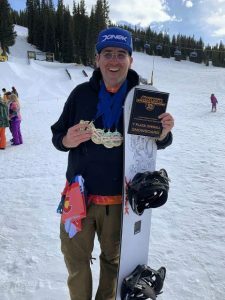 Rodgers said he’d ridden at Boreal Mountain Resort and Heavenly Mountain Resort already this season, and that Northstar was in the best shape of the three at this early point in the year. 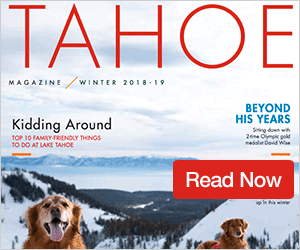 Northstar also celebrated its opening weekend with a tree lighting ceremony in the Village at Northstar, and was one of the sites for this year’s Tahoe Film Festival. For more information on upcoming events, lift and trail openings, and tickets, visit NorthstarCalifornia.com.